If you read last week’s post, you may recall that I am just back from an (extraordinary) Core Partnership course with Alison Armstrong. One of the key elements of the course was working on how we ask one another for something: Is our ‘ask’ clear? Does it include enough information? Does it leave room for the hearer to ask clarifying questions, or choose to participate in all or part of our request? Etc. Most importantly, however, we worked on asking from our ‘best self’: Not our entitled self, or our frustrated self, or our self who might be operating from deprivation or manipulation. As I practiced, the distinction I found most helpful was: am I being a heart ask—am I asking based on a need that will allow me to do my best work? Or am I making a smart ask—thinking through what might be most persuasive or compelling to my listener and then using that information to swing things my way? Suppose you want to go in and ask your boss for a raise. Now if you are only making a smart ask, you will think through everything from how things have been going for the company as a whole, to when does his or her blood sugar tend to be low? They are not part of a heart ask, however. The point is, it is not an ask based on, “I want a raise because I make less than so-and-so,” or “Because I work harder than so-and-so.” Rather, it is rooted in a desire to bring your best, most competent, most focused, most complete self to the work you do. And that’s the person your boss wants at the office every day. For more on how manipulation, ultimately, does not serve you, here’s “Beware the Sixth Sense”. P.S. If you’re wondering about the photo for this Wow, it was taken when we were clearing a bunch of kooky stuff out of my mother’s apartment. 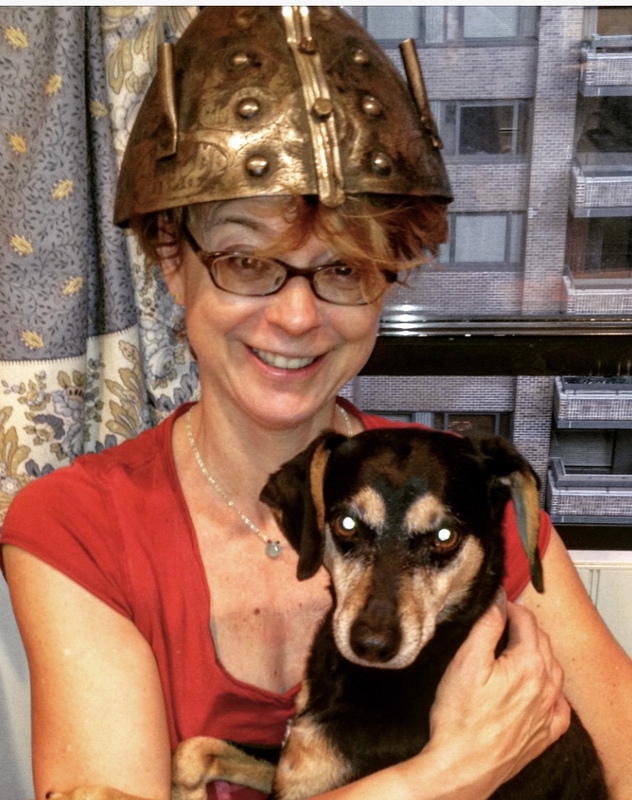 To me, the juxtaposition of my darling dog with that nutty helmet was the epitome of the juxtaposition between the heart ask and the smart ask.